How many teams are you a part of? How many new players and new parents are you suddenly spending a large portion of your weekend with? One of the challenges of teams sport is trying to remember everyone - both who they are and which player belongs to which parent. Teamstuff now has you sorted - go landscape. When you are next at the game or training - jump onto the app, and go into landscape mode. That is - just turn your phone 90 degrees. Boom! Some magic happens here and you'll see your team in a whole new way. 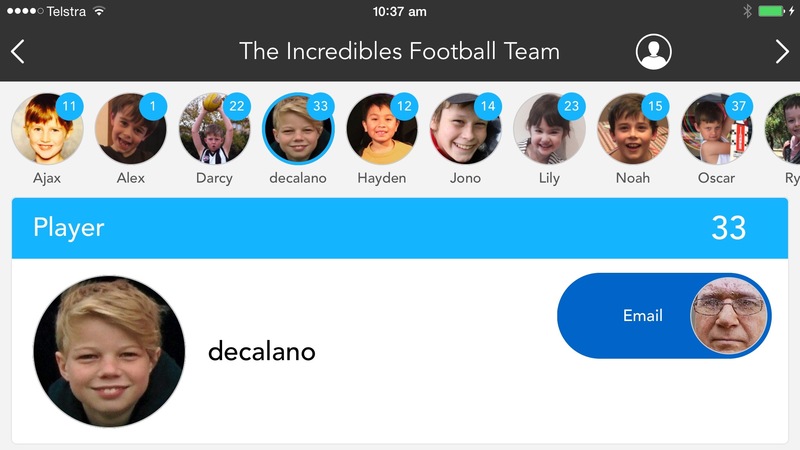 Here's my "Incredibles Football Team" in all their glory. So straight away - you can see all the players - beautiful hi-res photos with names and numbers. Sweet! But what if you have lots of players - well that top panel is scrollable left and right. So just slide it anywhere you need. To get more details on a player - touch their profile at top. Down below you'll see some more details, including parents if this is a kids team. But what if you don't know them yet by name? What if you just watched number 15 make a saving kick out of defence? Got that handled too. Touch the person icon on the top bar - and it shows some display choices. 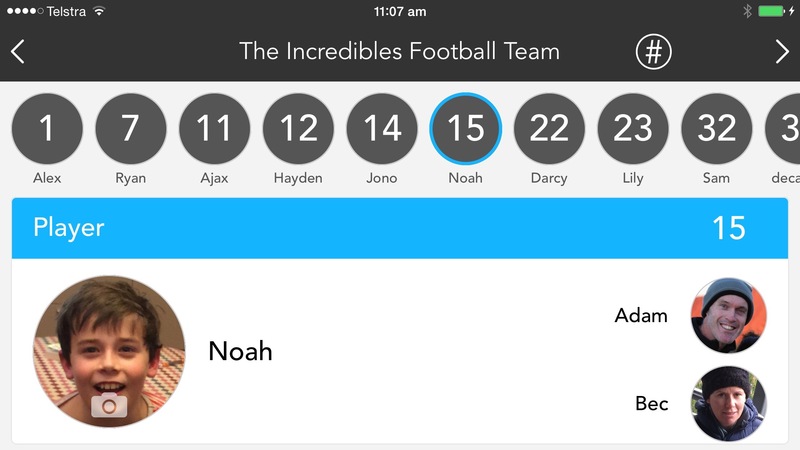 Now you can show by player numbers, and suddenly it turns out that the brave player who cleared the ball is actually Noah! "Great kick Noah" sounds a whole lot better than "Great kick number 15" now doesn't it? 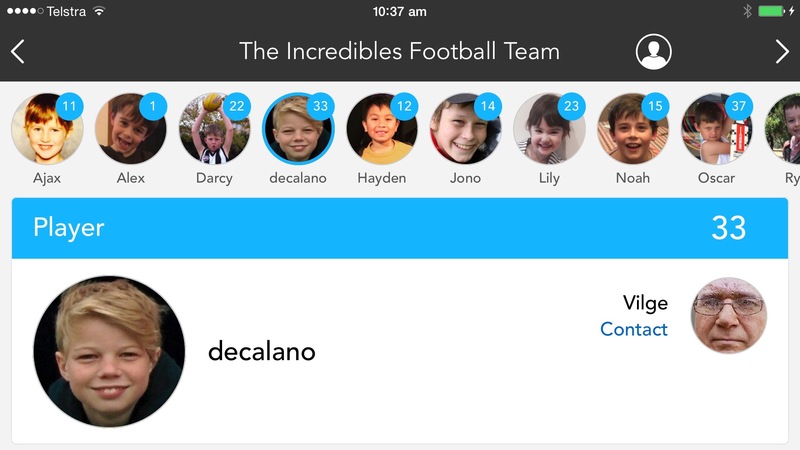 You can also sort by the parents on the team - a great way to quickly put those faces to names. There's plenty of times when you'll want to contact other players or parents in your team. And the team display can this covered. Just find the player or parent - and touch on their photo on the player card. Suddenly you'll see something like the following. In the example above, Vigle is Decalano's dad - and he's only listed his email in teamstuff - so that's the only choice you have. But if he had his mobile you'd see other choices there too - such as texting or calling. Note of course that we respect your privacy choices - so the amount of contact information seen here is of course very much under your control. 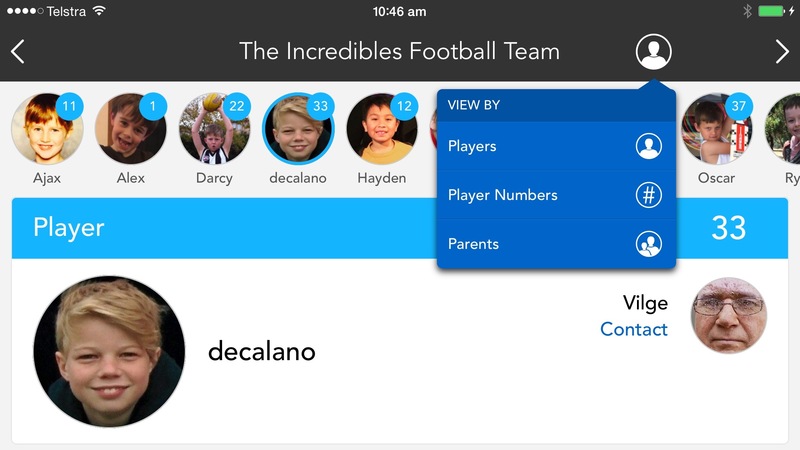 The last trick here to make your life easier - is that coaches and managers have the ability to set the players team number and their photo directly from the player card. Just touch the number to update it - couldn't be any easier. For player photos - coaches and managers can only update the players profile photos if none have been provided by the player or parent. It's a great way to get the team setup on the first training - and let parents and players improve from there should they want to.